Hormone replacement therapy is commonly recommended by many doctors as a treatment for menopause in women. Patients go to a Compounding Pharmacy in Sanford, Florida to have the hormone replacement that they need. As the body ages, it can no longer produce a number of hormones that serve different functions. In the case of women, the two most common hormones are estrogen and progesterone. These hormones typically decline in production during menopause. Hormone replacement therapy enables the body to receive the hormones through the use of identical plant-based hormones. Through this, women can get relief from the symptoms of menopause. There usually are no Medical Supplies in Seminole county necessary for this therapy as everything will be based on your existing condition. Who Should and Should Not Receive This Treatment? This treatment may be suggested to women who are suffering from moderate to severe menopausal symptoms such as hot flashes. Those who have a family history of osteoporosis or have already lost bone mass can also receive hormone replacement therapy. Women who have or previously suffered from ovarian cancer, breast cancer, and/or endometrial cancer should avoid this treatment. Other conditions also include stroke, blood clots, and liver disease, among others. Those who have not yet experienced menopausal symptoms should not go through hormone replacement therapy. 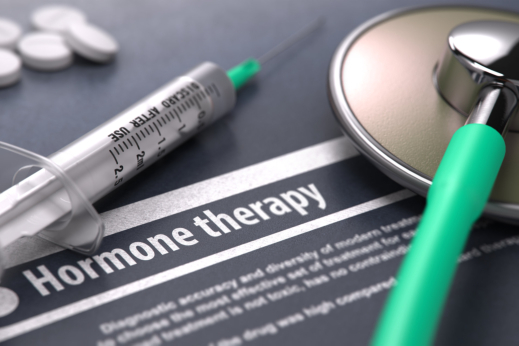 Like any other treatment, hormone replacement therapy also poses several risks. These include serious conditions like breast cancer, stroke, and heart disease. That is why it is important to check with your doctor if this kind of therapy is right for you. Talk to your doctor about the right product for you. You need to identify which delivery method is best for your situation, may it be a patch, gel or pill, among others. Make sure that your dosage it at the minimum effective dose for your condition. This dosage differs from person to person. Always attend follow-up care and visits to the doctor to monitor your use. This will also help the physician ensure that the benefits of this therapy outweigh all the risks. Couple your treatment with a healthy lifestyle. Sunshine Pharmacy offers a variety of compounding services and hormone replacement therapy for women. Additionally, we are also a Retail Pharmacy in Lake Mary dedicated to providing you with a wide selection of quality medications and health products. This entry was posted in Hormone Replacement Therapy and tagged compounding services, menopausal symptoms, Therapy. Bookmark the permalink.